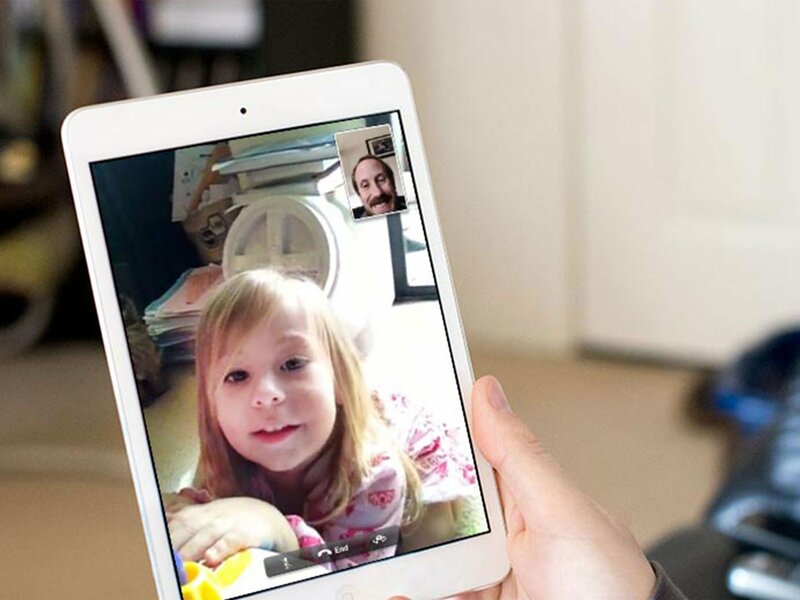 Making FaceTime video or audio calls is ridiculously easy to do. There's a built-in FaceTime app on every iPhone, iPad, iPod touch, and Mac, and FaceTime is also integrated into the Phone app on iPhone. As long as you're on Wi-Fi or cellular data, you can stay in touch with family and friends, even while traveling, connect with anyone in the world, even without a long distance plan, and not only hear but see the people you're talking to. It's like having all the people you care about most right there in front of you. Type the name, email address or number that you want to call. Enter more names, email addresses or numbers if you want to create a group call. Tap Audio or Video to start your call. Open FaceTime on your Mac from your Dock or Applications folder. Enter the name, email address, or phone number of the person you want to call. Click Audio or Video to start your call. Look at the call menu that appears when you're on a phone call. Tap the FaceTime button to initiate a FaceTime video call. Start or Answer a FaceTime call. Press the Home Button (iPhone 8 and older) or swipe up from the bottom of your screen (iPhone X and newer) to exit the FaceTime app. Doing this will cause your video to pause, though the other person on the call will still hear your audio. Press and hold the Home button (iPhone 8 and older) or the Side button (iPhone X and newer), or say "Hey Siri" to activate Siri. Say "Facetime [name]. Alternatively, say "FaceTime" then wait for Siri to prompt you before speaking your contact's name. Now all you have to do is wait for Siri to connect. Swipe up from the bottom of your screen (iPhone 8 or older) or Swipe down on the right corner of your Home screen (iPhone X or later). Tap on the device to which you want to mirror your iPhone's screen. After that, just complete the steps of making a FaceTime call on your iPhone or iPad. Update April 2019: Added steps and screenshots for iOS 12 and macOS Mojave.